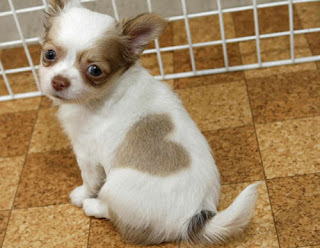 Say hello to little Heart-kun, product of a Japanese dog breeder's fiddling with the Chihuahua gene-code. He's apparently the first of a 1,000 she plans to market. (Not sure how I feel about that.) Want another picture? Why not. I can't seem to stop myself. What Goes Well With Giant Squid? How About A Beach BBQ? Are You Worth More Dead Than Alive? Who's Stealing New York's Pigeons?